A weak king, a rebellious baron. A kingdom on the brink of civil war, an adulterous wife and an ambitious royal favourite. A blackmailed bride and an honourable knight, torn apart by his loyalties to his lord, his wife and his future king. Welcome to the world of Adam de Guirande! I’ve always been fascinated by men who stick to their convictions, no matter what. Roger Mortimer has always struck me as being one such man – determined to fight for his rights in the face of overwhelming opposition. Brave and resourceful, Baron Mortimer was one of the powerful Marcher Lords, a loyal servant of the Crown who did his best to serve his king, the somewhat fickle Edward II. It was Mortimer’s misfortune that Edward developed a special affection for Hugh Despenser, a sworn enemy of the Mortimers. It was England’s misfortune that Edward set his favourite’s interests before those of his realm. In 1321, the barons had had enough and rose in rebellion, led by Mortimer and Thomas of Lancaster. They marched on London and forced Edward to exile the hated Hugh. But once Edward had licked his wounds, he struck back, and suddenly Mortimer was fighting for his life. The first book, In the Shadow of the Storm, was published in November 2015. 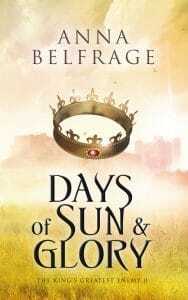 The second book, Days of Sun and Glory, was published in July of 2016. 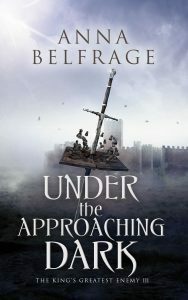 The third book, Under the Approaching Dark, was published on April 10, 2017. 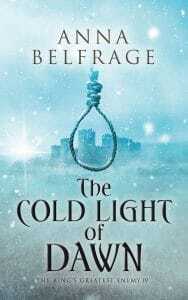 The fourth book, The Cold Light of Dawn, was published on February 16, 2018.